This mod is, I believe, made by a group of Korean modders. The player starts the mod with no clear objective or goal. By trial and error the player eventually finds access to a suit room where they don a Combine Elite suit. Again, through trial and error testing doors and forcefields the player makes their way to the surface only to find Zombies, Combine AND rebels against them. This mod comes with an executable installer. Pleas ensure the path default is correct and everything should be ok.
I’ve only just started playing this one and so far it’s great. I like the balance between space and enemies.. I’ll try and post a full review as soon as I finish it. I’ll even try to make a short gameplay video. Wow! I just started to download this and realised it’s 133MB! Why is it so big when, judging by the screenshots, it doesn’t appear to have any new content?! Okay, I’ve just finished it and I love it. I don’t know what it is about these short mods but they have just the right amount of gameplay to keep me interested. They don’t try to do anything over-complicated and they give you solid gameplay.Without doubt this is one of my favourite mods of the year.It could certainly be improved, the ending is too abrupt, even for an episode and a little voice acting to understand the story would be good. Overall, a great little mod. I will be replaying this to make a video as soon as I can. Well, after a 5 hour wait (our bandwidth has been restricted unfortunately) I quite enjoyed this mod! However, I am still clueless as to why the file was so huge. This could have easily served as a simple map pack. – The atmosphere (especially in the outdoor areas) was fantastic. It was clearly Half-Life 2 but definitely felt like something new. The fogged-up toxic cesspits were genuinely creepy and made me feel quite uncomfortable, especially with all those corpses strung up everywhere. – The entire mod was balanced very well. Fights were fairly challenging without being frustrating and I never went too long without a medkit or ammo. Enemies were placed well with both relation to gameplay and logic (they seemed to be in conflict against each other rather than just randomly stuck in a room together). – Excellent mapping with regards to lighting, textures, architecture, props and all that sort of thing. – I was a little confused about who I was supposed to be. After starting in a prisoner pod I assumed I was a regular citizen, but then I put on Combine armour so I thought I was one of them. Then the Combine attacked me so I really wasn’t sure. By the end I was completely baffled as both Combine AND rebel were shooting me! A little clarity would be nice. I also had no idea what my goal was (not good!). – As AI said, the ending was a bit lame. In fact I had to reload just to make sure it wasn’t a glitch. Why did it load a new map, only to have the screen inexplicably black out after entering the next room? Seemed like the developers just got bored and decided to release it as it was. I’m interested to see a second part just to see what that room was. – While the maps were very nicely decorated, they were somewhat linear in parts and most of the game consisted of walking through corridors with little choice about where to go. The parts that deviated from this were excellent though, so I would have liked to have seen more of that. – Was it me or were the Antlions a bit out of place? I thought the mod would have been fine with just Combine and zombies/headcrabs. The dead Antlion Guard seemed like foreshadowing that just went nowhere. Maybe we’ll see a live one in the second part? I hope so. A really fine job. I haven’t finished it yet, but see no reason not to highly recommend it. English subtitles are well done and the new scenes are welcome. I just finished playing through this mod and, frankly, I’m disappointed. This mod is passably well designed for what it is, the problem is that it’s developers don’t seem to have been able to decide what they wanted it to be. You go straight from a knock-off Citadel populated by a random mix of citizens, unarmed rebels and Combine soldiers to a tiled prison block, and from here you eventually find your way past a bridge and through various buildings that look like parts of Ravenholm, Highway 17 and the canals all mixed together. The extreme overabundance of supplies makes it too easy (three infinite supply crates in one room? Please.) No explanation is given as to why clone Kleiners with Pulse Rifles make an occasional appearance, either. For unknown reasons both the Combine and the Resistance consider you an enemy, so the only conclusion to be drawn is that you’re just a Combine impostor that everyone hates. Either that or the so-called Rebels are just Combine Soldiers in disguise, which makes about as much sense as the rest of the mod since the Rebels fight ALONGSIDE the Combine and even TALK like them. To sum it up, if you put Half-Life 2 into a blender and put it back together in random order, this is what you’d get and it’s not particularly pretty. If you’re willing to discard logic for an hour or two you might have a good time here, and I admit I had a laugh at the sheer randomness of it all, but it’s kind of worrying when something is funny when it’s not trying to be. I think I have to agree with what Matty said, but I wouldn’t go so far as to say avoid it because of those reasons. The Citadel-esque area was clearly part of the prison area (Nova Prospekt eventually merged into a lot of Combine architecture, particularly in the Entanglement chapter when you reach the depot). Outside the area was a toxic canal with some old concrete architecture. I don’t think it was too jumbled up. I do agree about the rebels though, and the Kleiners were just weird and confusing! Lack of logical story aside, this short mod delivers gameplay. Like AI, I really enjoyed the close combat encounters. Your path is quite linear but for the most part, I enjoyed it that way. Outside areas are venturesome but not TOO venturesome if you value your health. I thought the mapping & textures were nicely done and in addition, enemy placement was well executed. A lot of times, I’ll really like a mod and even recommend it but hardly ever go back and play it again. This one, however, has something to it that makes me want to play through it again. I just wish I knew what it was suppose to be about!! It has a nice level design. It used several locales/architecture styles, but used them well. Gameplay is nice, though at times there is perhaps too much ammo. The enemies often pose a challenge, but are never too hard. Enemy placement is fine and I was surprised by the suicide rebels. All in all the game is great from a gameplay point of view. Now of course we have arrived at the bad. The story and logic. There is no direction. You are driven forward by the fact that a game is not played by standing stil in the first area and most FPS use the linear “get to the next level” design. This is made worse by the lack of story and explenation. Rebels and Combine soldiers seem to be hanging around together at first. Then there is the prison, where rebels are suddenly held prisoner. The confussion is added when we find rebels fighting the player, alongside the combine. Also there is the character you play. He arrives in a pod, suggesting he’s a prisoner, but he is left alone and aquires a combine suit, suggesting he’s a combine soldier, then he deactivates a force field and suddenly everyone’s shooting him. So if you are just looking for a nice mod just to shoot, take this mod. If you however wish to have a story or at the very least a explenation of what’s going on, I suggest you look on. What I think the story might be is that you are a combine soldier that, by some strange chance, had a stroke of guilt, and wanted to escape the prison. After you turn off the force-field, the british-y sounding combine voice from the intercoms says something about how the security field has been disabled. Then the combine start attacking the ‘security breach’, and the rebels attack you because you’re combine. You’re a rouge with evey-one/thing after you. While playing the mod, I assumed the latest Combine evil was at play; the ability to disguise Combine soldiers as rebels. My mission was to escape and warn the Rebellion of the diabolical plot. Does that sound too far fetched? It seems to make sense, being that North Korean spies are passed off as South Korean citizens…..
Top marks for Dr Breen reading a letter from a Concerned Citizen, though (new to this mod, I believe?). I thought that bit at least was excellent. MikeS: that dialogue was straight from Half-Life 2. No way a mod team could get Robert Culp to lend his voice for free! Ah, that explains why it was so good! Damn, I gave the mod makers kudos for something they didn’t do! Well this is an interesting find to be sure. I have absolutely no idea what is going on in this modification/map pack but all I know is that lots of stuff dies. This is going to be a short review as it took me less than 30 minutes to beat the first Volume. You start off in some Combine structure that looks like the Citadel from Half-Life 2 and you walk about with what seems to be your Combine buddies and you pick up your Combine uniform and go for a patrol in some prison cells. Once you’re there, you find out everybody hates you, you have no friends and everybody wants you to die. That’s the story as I know it. There may have been more, but the read me is written in Korean which I sadly did not take this semester, so I’m left in the dark to what is really going on. That being said, the maps are fun to play. They remind me very much of the original Half-Life 2 maps before the episodes, where there would be periods of Combine, then periods of zombies. Zombies, the place is full of them and all the ones lying on the ground get up. All of them. If it has a head crab on its corpse, shoot it to make sure it won’t get up. The mapper seems to like to like you to shoot your dead twice; perhaps he/she is going through some relationship troubles. Along with zombies you will encounter combine of all kinds, rebels with sharp sticks and even scientists armed with AR2s. While they give you some free kills, there are moments where you will be rushed in close quarters with five Combine all wielding shotguns to shave down your health to a single digit. Supplies are also generous, almost too generous. Like I said before, I played through this set of maps quite quickly and did not die once, thanks to supply crates every 50 feet. Lastly, what was supposed to be the end battle for the Volume was laughable, as I didn’t fight it, I simply ran through the underground maze of connected rooms and went out the other side to safety. Why fight a battle I don’t have to? All in all the map set was quite impressive and once they next volume is released; I will probably have a go at that one as well. I suggest you try this if you enjoy short little evening battles before getting to decorate your Christmas tree with the Head Crab on top. It all depends on what you want from an add-on. If you don’t care about puzzles, an immersive story-line or clear-cut mission, situations that require some planning & thought, multiple paths to reach an objective, or inspired scenery, then this one is for you. My feeling is that if the authors want to make something of this, they should come up with a story-line and begin Volume 2 with reasons why the player needs to get to another location–perhaps to deliver an antidote to the rebel lab that will nulify the combine’s dominance over citizens; or to rescue Val from certain death at the hands of the combine–anything to raise this add-on above its current mediocrity. Maybe it’s my cynicism getting the better of me, but I feel the reviewers here, as a whole, are being far too kind to this mod. 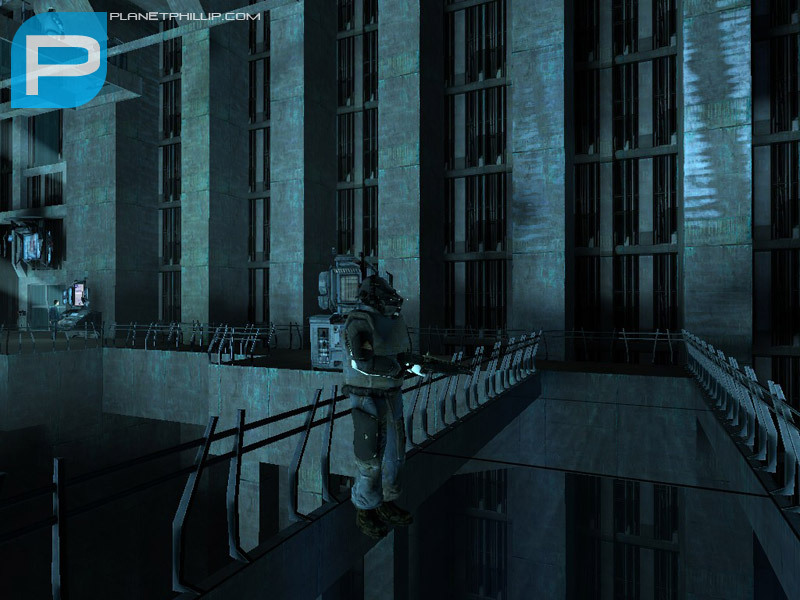 Sure, it has gameplay, what Half-Life 2 mod doesn’t? And it’s by no means “good” gameplay. It’s all of the concepts of Half-Life 2 stitched together randomly. Thumpers covering the hillsides in a mountainous area? Antlions appearing sporadically with no apparent origin? Doctor Kleiner fighting alongside Overwatch Soldiers? It’s clear this mod wasn’t planned but just built one piece at a time with little thought for how it would all fit together in the end, and it suffers badly for it. This is basically just a mindless kill-fest dressed up as Half-Life 2’s story driven gameplay, and kill-fests got old last century as far as I’m concerned. With so many decent mods out there that introduce new ideas or at least do the old ones properly I simply cannot recommend this. Well #21, I do refer to it as more of a map pack than a modification, so to judge them on the same scale would just be unfair. I know there are way better mods, but this really isn’t a mod. Thus I judged it mostly on the maps, which is the only thing thats different from the original Half-Life 2 minus a few other things. True, but most single player “mods” for Half-Life 2 are in fact little more than map packs, even MINERVA. The only difference between a “mod” and a “map pack” in this context is that a mod runs seperately from the game and has it’s own folder, while maps in a map pack would run in Half-Life 2 itself, both can use custom textures and sounds so the difference really is trivial in most cases and I fail to see how it makes a difference when reviewing this content. There is no clearly defined standard so the only thing that separates a true “mod” from a map pack is the amount of new content, such as new sounds, weapons, textures, characters and so on. But all of that is subjective, who decides where to draw the line that seperates the two? Take the three-map pack “Das Roboss” by Tylak. It consists of three large maps, it has a story, custom textures and sounds, that would easily be considered a mod if it were packaged as such, but it’s not, so it isn’t. You get the idea. Whatever the merits or otherwise of this mod, it’s worth pointing out that the authors have packed it extremely poorly, including not only a non-default config but they also have included all of the soundcache files. When you remove these and re-rar the mod it’s only 18.9 mb in size. There is an article specifically about this issue here .As for the mod itself I liked some of the mapping ideas, but the gameplay was unbalanced and the execution rough. I don’t mind the lack of plot, but it was somewhat confusing and seemingly unnecessary to be attacked by rebels as well as combine. It’s fun enough if you feel you must play everything, but should be avoided if you do not. Well, I get a “A.I. disabled” message… any idea? Nice. Good original landscaping and architecture. Interesting situations, like when the poison headcrab zombies are tossing crabs at you while you’re on the moving platform. – uneven distribution of health and danger. On “normal”, I’d sometimes hit multiple health packs in a row with no challenge in between; then I’d stumble into a hornet’s nest and get wiped. – having to kill rebels. Humans. Friends. I don’t like that, especially with no explanation. – sometimes you seem to go through too many pointless rooms, mostly the same. Still, the mod shows a lot of work, thought and creativity. Will probably play it again. This one deserves its place in the highest-rated list. The good part about this one was it was fun to play. The action was great. The maps and the whole mod flowed good with no bugs at all. To that end, these guys did a really good job. There was no problems playing this. On the flipside, it was confusing as to who the good guys are and who I am supposed to be shooting at. I found it really confusing to be shooting at the same people that I am fighting with in HL2-even Dr. Kliener is shooting at me! So, I don’t like being the bad guy and why am I turning off the thumpers and letting the antlions loose? Where was I suppose to be going and what was the end goal in this? Sure, the kiiling was fun but where’s the story and how come no puzzles? I t could be alot better.It was fun and a good starter mod. Hope they improve on part 2. Well, any mod I can resurrect will be my Personal Favorite, at least for a while. I came across this mod while purposely looking for older mods to “fix-&-play” With this one, the first map crashed & burned, but the rest worked ok. So, I dicked around & found if I changed the App from 220 to 215 & added a bin directory with 2006 files, the mod worked just great. I changed the title data so the entire title displays better on the screen. Don’t forget the bin file/directory change!